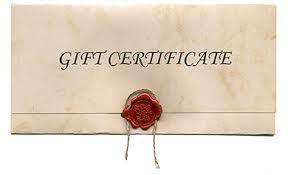 Gift Certificates are great for any occasion and easy to purchase by clicking the link. Using our online system you can easily purchase and send your gift! Gift Certificates are also available by visiting the clinic or calling reception Monday to Friday between 9am and 2pm (780-466-0027).